By Daniel Horowitz-- On Thursday March 2, IsraAID: The Israel Forum for International Humanitarian Aid dispatched a delegation of Israeli experts to Juba, South Sudan, with the support of UJA Federation of Greater Toronto, IsraAID’s largest financial supporter. The delegation - which includes three highly-skilled and experienced Israeli therapists - will conduct the first ever Gender Based Violence (GBV) training program for social workers aimed at fighting violence against women in the new nation. The program is funded primarily by UJA Federation of Greater Toronto and, by extension, charitable donations from Toronto’s Jewish community. The program is an example of the close level of cooperation between Canadians and Israelis on important global issues. The initiative will provide social workers in the Juba region with intensive training on the delivery of social work, gender-based violence//post-trauma assistance in a country where sexual abuse and other forms of gender-based violence continue to put women and girls at risk. During the workshop, 30 South Sudanese social workers - who will be spread around the Central Equatoria state (Juba region) - will receive intensive training on the delivery of social work, gender-based violence (GBV) and post-trauma assistance by the IsraAID therapists. On July 9, 2011 South Sudan declared its independence, thus becoming Africa's 54th nation. Israel immediately recognized the new State and opened diplomatic relationships with Juba. Throughout the past decades, Israel significantly contributed to the new nation's independence and built a relationship of trust and cooperation with Southern Sudan. 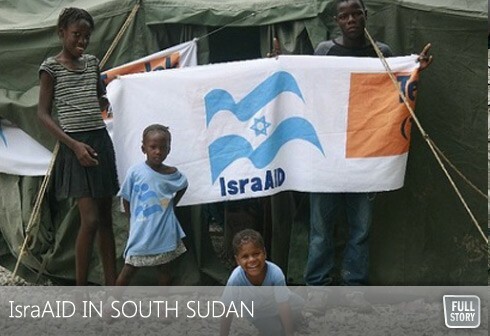 "IsraAID recognizes the dramatic opportunity for the organization - as well as for Israel as a whole - to contribute to nation-building and development in South Sudan through the transfer of Israeli expertise" says Shachar Zahavi, Executive Director of IsraAID. "Israel benefits from unique 'know-how' and technologies in a wide range of areas, and is therefore capable of organizing rich and impact-oriented training programs in response to the local needs, while respecting and promoting local ownership."